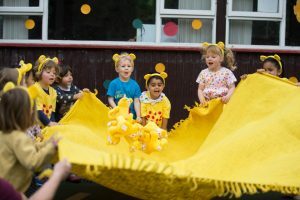 This year thousands of nurseries and pre-schools will be hosting their own Pudsey Picnic, whilst wearing spotty fancy dress, selling spotty cakes and crafts, and playing spot themed games, all to raise money to help change the lives of disadvantaged children and young people in the UK. The Big Spotacular has a host of new online resources for this year, including advice to support SEND learning, posters and a Pudsey coin fill, as well as updated curriculum-linked lesson content. Participation in fundraising last year proved to have a positive impact on children’s teamwork, communication and confidence skills, so there are plenty of educational benefits.